By pulling out of international deals, is Trump acting in the US interest? At first, US President Donald Trump ripped up, or vowed to renegotiate, a number of trade deals. Then, he pulled out of the Paris climate pact and UNESCO. On Friday, he decertified the Iran nuclear deal – all in the US's best interest. But is it? Since Trump took office in January, the world has seen a raft of US foreign policy measures that have not only stunned many members of the international community, but appear to indicate that the new US president prefers to go at it alone, in particular when it comes to already forged international agreements, alliances and organisations. Is Trump really going at it alone, in terms of foreign policy? It’s certainly one of the trends we’ve been seeing since the beginning of his mandate. Trump is not a multilateralist, and he doesn’t favour organisations or alliances that are multilateral. You saw it at the NATO summit this summer, where he at first wasn’t forthcoming with article 5 and then getting out of the Paris climate agreement and now we have UNESCO and the Iran nuclear deal. Trump’s definitely someone that fights for “America first”, and he doesn’t feel that America’s best interest is promoted inside a multilateral organisation or alliances. But you should keep in mind that his predecessor, [Barack] Obama, also felt that a multipolar world was making it complicated for America to lead, but he was still trying to find solutions inside a multilateral framework. Trump is totally different, moving in a different direction, on his own. Where will this ‘America first’ attitude leave the US in terms of its relations with its allies? Aside from geopolitics, there is also this whole economic perspective. 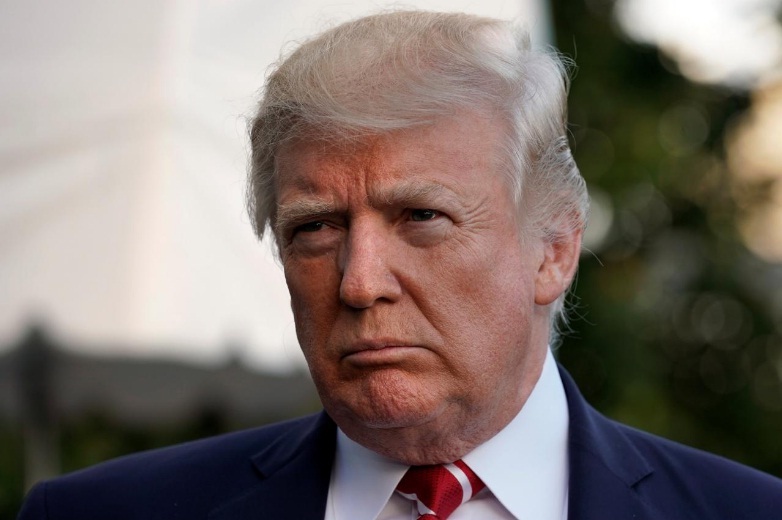 Trump has already abandoned the TTP deal [the 12-nation Trans-Pacific Partnership], he is renegotiating NAFTA [the North-American Free Trade Agreement between the US, Canada and Mexico], and he’s quite ready to scrap it altogether if he cannot agree with these two partners. You don’t hear Trump talk much about the overall good. It’s an American leadership that is moving forward on its own, and it is becoming more and more isolated. What I think will happen is that its allies will slowly try to find other ways to move ahead, without America. With the Iran nuclear deal for example: If America steps aside, the European Union will instead work with China and Russia on it in the future. It will be the same with climate and trade. So the question then is: How is America still going to exert [world] leadership if it’s all on its own? Does Trump’s foreign policy put the US at risk of losing its place as a world power? It still has a lot of power. If you look at the current crises in the world, take Syria for example, America still has a lot of military clout, but politically it is Russia which has taken the lead on the search for a political solution there. One could say the same about Ukraine, Libya or Yemen, the Trump administration seems ready to stay in the back seat and abandon its traditional leadership. At some point, I think the Trump administration may have to change this attitude, because it will not benefit the business community on many economic issues. The option of American isolation internationally may reach its limits and Trump may have to reach out to his allies again. The voters who elected Trump are calling for an American administration that defends all those who have been left behind by the present economic world order. Trump is translating that mood into his foreign policy. And so it doesn’t only have to do with Trump’s personality. It is a more profound trend. What can we expect in the future, will the US quit more international collaborations? Trump has been very critical of the UN global management and has called the UN to reduce its expenditure when it comes to peace-keeping forces and the length of some peace-keeping operations. One may doubt Trump will pull out, but he will keep on putting pressure on the UN. Many are now watching whether America will retire its representation at the UN Human Rights Council. Recently, America’s UN Ambassador Nikki Haley complained about it a lot, and asked it to reform itself otherwise America may decide to leave it. What is Trump’s overall aim with this protectionist foreign policy strategy? I think his slogan, “Make America Great Again”, sums it up pretty well. But this “America first” policy – in the greater international perspective – will probably also mean that America will find itself more on its own. The vision of "Making America Great Again" is very much linked to a past that is now gone. The world today is one of many power nations whose presence, action and influence must be taken into consideration. It is not only Russia. We now also have a strong China, an influential India, Japan and many other partners including European nations. Their reactions to President Trump's decision on the Iranian nuclear deal is a clear illustration of the limits today of the US leadership. Muslim Global: By pulling out of international deals, is Trump acting in the US interest?